What is a custom magnet? Custom magnets are irregular. Some ordinary magnets may also be processed into special-shaped magnets. Where does the custom magnet focus on? It is reported that special-shaped magnets are mainly used in electroacoustics, electrical appliances, motors, mobile phones and so on. Their use is quite ordinary, and they may be used in basic industries. What are the common custom magnets? The common special-shaped magnets are rugged magnets, horseshoe magnets, tile magnets, and some sinking magnets. How did the custom magnet come out? This depends on the detailed form, the material of the magnet is relatively brittle, so the processing procedures are cumbersome, and the various machines used are also comparable, such as automatic slicing machine, wire cutting, forming grinder, unintentional grinder, punching machine, and many other machines. 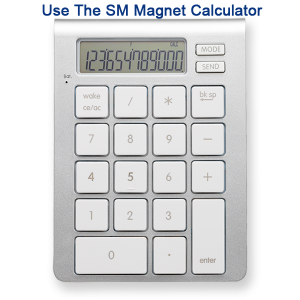 What are the advantages of custom magnets? 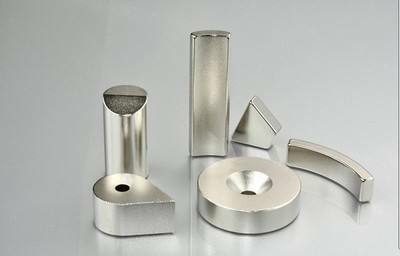 Custom magnets have high-cost performance and excellent mechanical properties. With high magnetic energy product and coercive force, it has achieved ordinary use in modern industry and electronic technology. What is the use of custom magnets? Samarium cobalt magnets have high-temperature resistance, bright metal color, relatively high value, comprehensive research, a small point is rarely used Samarium and cobalt. Permanent magnet ferrite, because the high-temperature resistance is better than NdFeB. To achieve micro-motor matching, chic of ferrite, its process cost requirements are high, and scrap rate is also high, because simple fracture may be wear and tear angle. The permanent magnet motor with neodymium magnet as the rotor magnet has a small size, light weight, high moment-inertia ratio, high response of servo system, high power and speed/component ratio, high starting moment and saving electricity. Motor magnets and motor magnets are mostly neodymium arc magnets, neodymium ring magnets or neodymium bar magnets, which can be used in different manget motors, such as AC motor, DC motor, linear motor, brushless motor, etc.? (1) People usually use the confusion and repulsion force of magnets to drive, and usually choose radially symmetrically magnetized tiled magnets to form rings. Sintered NdFeB is anisotropic raw material, which can not be formed at one time to achieve the slightly complex magnetization target that customers want. (2) Neodymium iron boron is also sintered with bonded NdFeB. At present, some manufacturers may also do radiation magnetization of bonded neodymium magnets, but there are many requirements for size and grade, and the magnetic function also has technical requirements for stability and uniformity. At the same time, the coil of the mold and requirements for the magnetizing fixture are very high.